Councilors approved a first reading of a $6.4 million spending plan Monday and heard about Regional School Unit 2's upcoming budget. 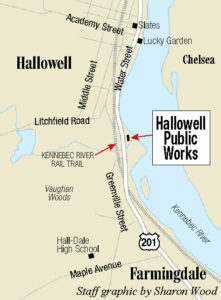 HALLOWELL — Despite a 17.6 percent drop in city revenue, Hallowell officials have proposed a preliminary budget with an 11.39 percent increase in municipal spending. In the budget proposal presented Monday, estimated revenue would be $832,067, a decrease of $146,517 — or 17.6 percent — from last year’s $978,584. While the draft budget predicts increases of $35,000 in excise tax revenue, $50,061 in state revenue sharing and $7,500 in sales of city-owned property, that will not make up the difference in carryover funding. The current budget used $225,000 in carryover funds, which helped remedy errors made when that spending plan was crafted last year — $150,000 in carryover funds were not counted toward the revenue, but a double count of revenue totaled $253,040 when the tax rate was calculated. In the budget proposal presented Monday, no carryover funding was included. The spending increase is being driven by capital requests from the Police, Fire and Public Works departments, including new vehicle purchases and lease agreements. Funding for studies about relocating the police and public works headquarters also is included in the budget. City Manager Nate Rudy said a lot of the initial items could seem “discretionary,” but department leaders wanted to include all items they needed and leave it to the council to cut back where it saw fit. In the proposed budget presented Monday night, municipal spending would be $6,431,267, a $657,978 — or 11.39 percent — from the current budget’s expenditures of $5,773,289. Of that hike, $146,711 is attributed to increased or new tax credit reimbursements or expenditures; capital improvement spending totals $316,300, an increase of $269,600 — or 577 percent — from the current $46,700 budgeted for capital expenses. The Hallowell Police Department is asking for $43,000 to cover the purchase of a 2020 Ford Explorer to add to the department’s two-car fleet. Police Chief Eric Nason said the new cruiser would increase the fleet’s longevity by rotating cars more often and helping cover times when another car is in the shop. The department’s fleet consists of 2016 and 2017 Ford Explorers, purchased in 2015 and 2016, respectively. Nason said the cars have 50,000 to 60,000 miles on them, and the department considers replacement after 70,000 miles. In the event of a cruiser being totaled, the emergency replacement plan is to rent a cruiser from a third party, Nason said. At Monday’s meeting, Councilor Maureen Aucoin recommended the Police Department move from the cramped City Hall basement to the larger former fire station on Second Street. A $10,000 study of the station is included in city’s draft budget, and Nason said the move could be a good fit. The Hallowell Fire Department has requested $80,000 for the first year of a seven-year, $500,000 lease-to-own agreement for a pumper truck and a quint truck — which serves as both an engine and a ladder truck. Fire Chief Jim Owens was unavailable for comment Tuesday. 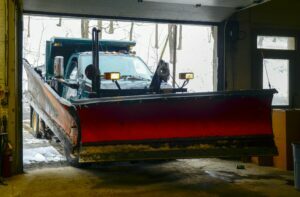 Another large capital expense — $24,000 — would be for the Public Works Department for the first year of a seven-year, $150,000 lease-to-own agreement for a new loader. The budget also earmarks $10,000 to study a replacement site for the Public Works Garage at 282 Water St. Public Works Director Chris Buck also was unavailable for comment Tuesday. The Hubbard Free Library requested $74,000 in funding last week. Last budget year, the city increased its contribution to the library, awarding the library $57,000: $15,000 for operating costs, its usual $27,000 annual contribution and $15,000 in tax increment financing revenue to fund the strategic plan and other small projects. Other spending increases would be for an accumulation of small line items, as well as $90,000 for replacing culverts, $26,000 for the first year of a five-lease to transition to LED streetlights, $50,000 for the first of two years pay for a consultant for the city’s comprehensive plan and a $19,111 bump in spending because of water district rate increases. Aucoin, also a member of the council’s Finance Committee, said the committee had not gone through the budget yet to cut things out, but it had met with department heads about their requests. There will be two more readings at City Council meetings and multiple deliberations by the Finance Committee before the budget is finalized. The council also heard a presentation from Hall-Dale High School Principal Mark Tinkham and Regional School Unit 2 school board members Chris Asch and Dawn Gallagher. The unit’s spending is estimated to rise to $30,565,329 for the 2019-20 school year, which is $2,706,124 million higher than this year’s budget. However, Tinkham said $2.15 million of the increase is a new school payment for Monmouth, which is being covered wholly by the state. The effective increase is $549,762, he said, which mostly covers pay for social workers and education technicians who are not assigned to special education. Gallagher said the school unit has a shortage of full-time ed techs and is looking for more actively. She said the position was the district’s best use of dollars, as the positions do not come with benefits and offer hourly pay. She said each position costs the district $15,000 to $20,000. 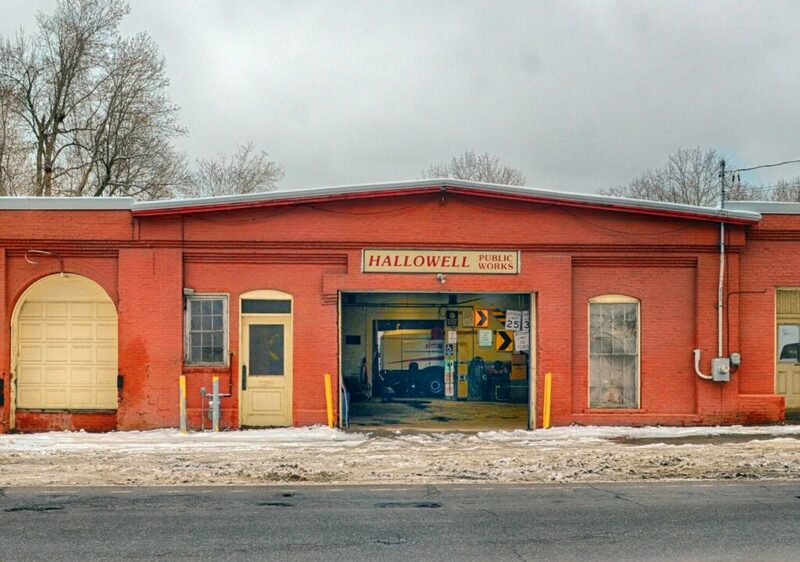 Hallowell’s local share is the third-highest, but it would get the highest percentage increase, rising 1.54 percent to $3,062,689 from $3,015,639 last year. Local shares for the other four member municipalities also are rising. Dresden’s share is up 0.75 percent to $1,704,530 next year, Farmingdale’s is up 0.56 percent to $2,664,656, Monmouth’s is up 1.39 percent to $4,831,853 and Richmond’s is up 1.09 percent to $3,318,189.